It’s a gorgeous, sunny, crisp yet warm autumn afternoon. I’m driving down from my home at 7500 feet towards Albuquerque. Down as in south, down as in descending to the city’s 5000 foot altitude. 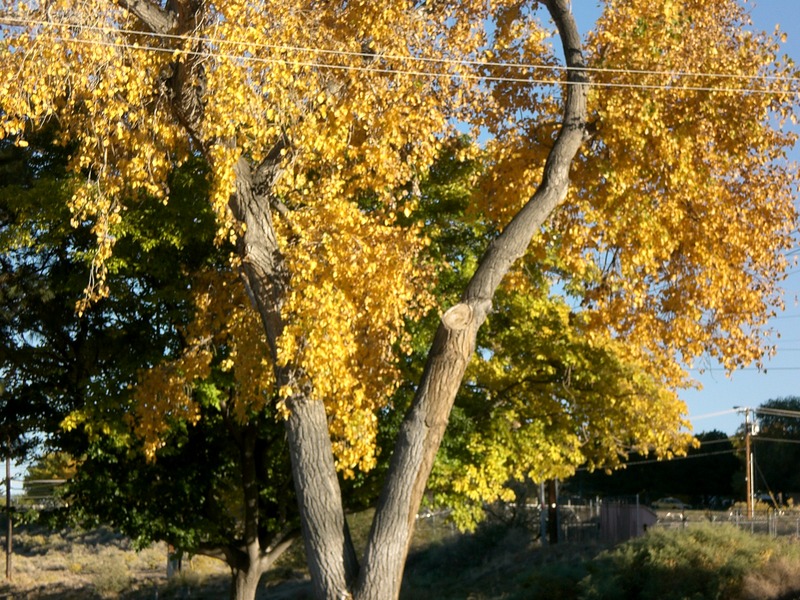 I pass from full-color glory of cottonwoods in deep gold, dotted here and there along arroyos which occasionally run but are now dry, to clusters of trees beside small streams which show a mixed blend of yellow tones. Here and there on hillsides I see an occasional, rare in the desert, sprinkling of red leaves where scrub oak is doing its part to show off. Wishing I had time to stop and take pictures at each of the scattered sites, I slow down and drink in the brilliant color enhanced as it is by a bright sun and a postcard-perfect clear blue sky. Much of the land is once again brown, grasses dried and earth showing little sign of the week of heavy rain that caused flooding in New Mexico as well as Colorado. Oh, you didn’t know that we had floods? Not surprising. When it comes to national reporting, New Mexico doesn’t exist. Our flooding was not mentioned; our drought is equally overlooked, although we have officially been the driest state in the nation. Only when Los Alamos lay in the path of wildfire, and last year when the biggest wildfire raging in the country ate tens of thousands of acres southwest of Santa Fe, did New Mexico make the news. “Listen my children, and you will hear…” stories like those handed out to tourists in a booklet entitled “One of Our Fifty is Missing” – but that is the subject of another posting. The rain is gone. One week in August, then a torrential week in September that dumped more than the land could absorb – now we’re once again living with drought, seeing long stretches of dun and tan prairie grasses, and encountering bears on the edges of our communities, some even making their way into the center of large cities in search of food. 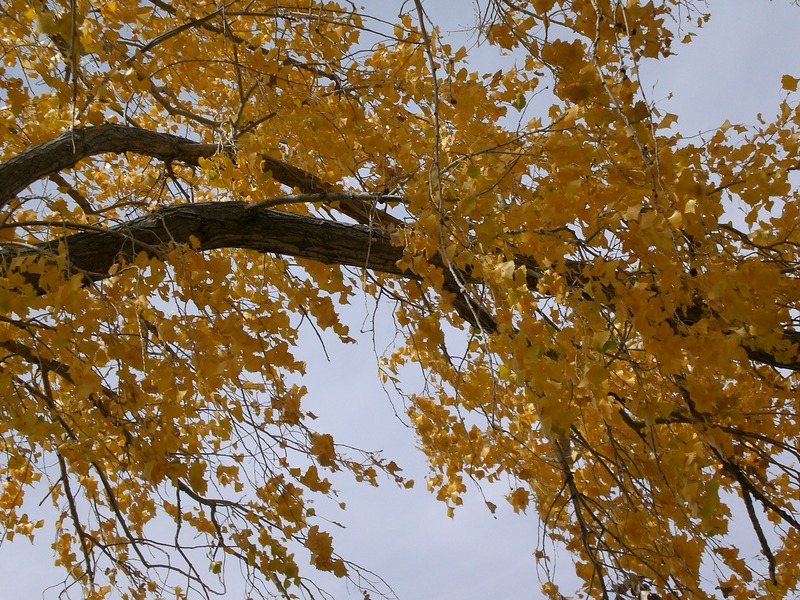 Acres of monochrome are suddenly interrupted by a line of golden cottonwoods. Looking out across the prairie, those trees beckon with the promise of a water course. Many of these small rivulets are dry, their banks eroded by the flash floods which accompanied that week of September rain, sometimes to the point that tree roots are exposed. Tree roots reaching down deeply, to what little is left of moisture; tree roots anchored in brown to give life to riotous gold. I pass yet another cluster of trees about ten miles south of Santa Fe, and see cars pulled off the side of the road. Looking more closely, I spy a group of artists, easels lined up, some standing, others on camp stools, each of them trying to capture autumn glory. I wish I could stop and join them! Instead I continue down the highway, across dry flat lands, then down one last hill. Spread out before me is the bosque of the Rio Grande, a wide and many-miles-long swath of cottonwoods, in every possible shade of yellow. It is almost too much to take in – acres of dancing golden tones sating the eye to the point that I must look away, watch the highway and the traffic, overfull. 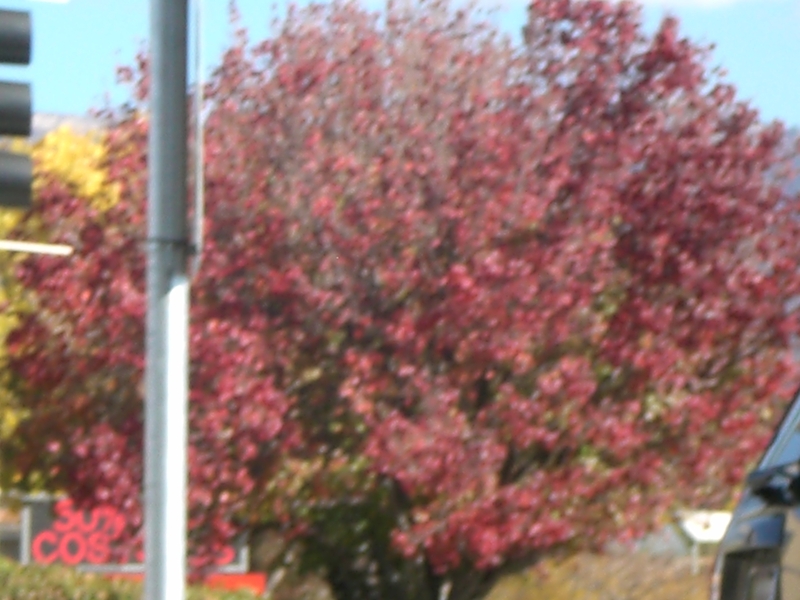 As I enter Albuquerque, I find myself searching out the occasional red of an intentionally-planted maple (they are not native here) and wonder if the householder responsible for the tree is, like me, originally from the East Coast. I delight in the rare splashes of red in equal measure as I responded to the occasional golden cottonwoods earlier in my trip. 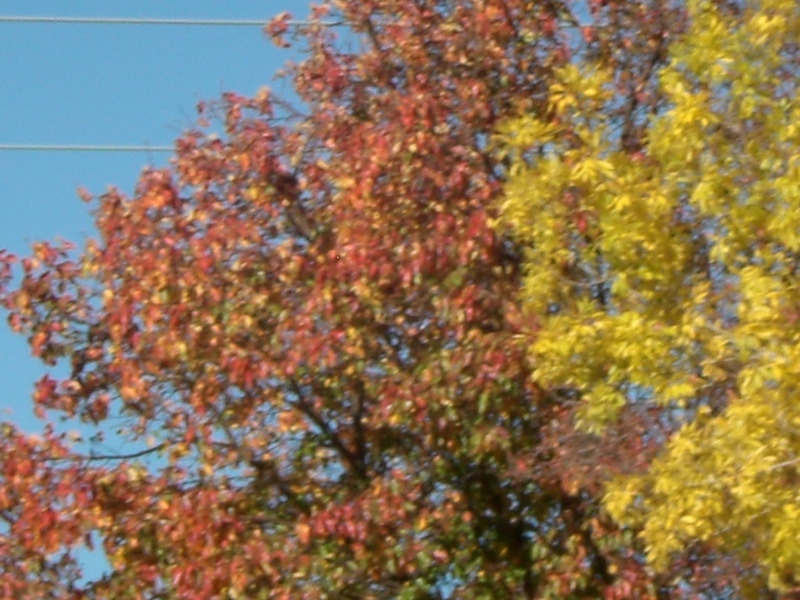 I remember autumn in New England, red upon orange upon grape upon wine, each color seeming to stand out and be enhanced by its subtle differences from its neighbors. I never tired of those shades of red in the way that today I ceased to be drawn to the yellows in the bosque. 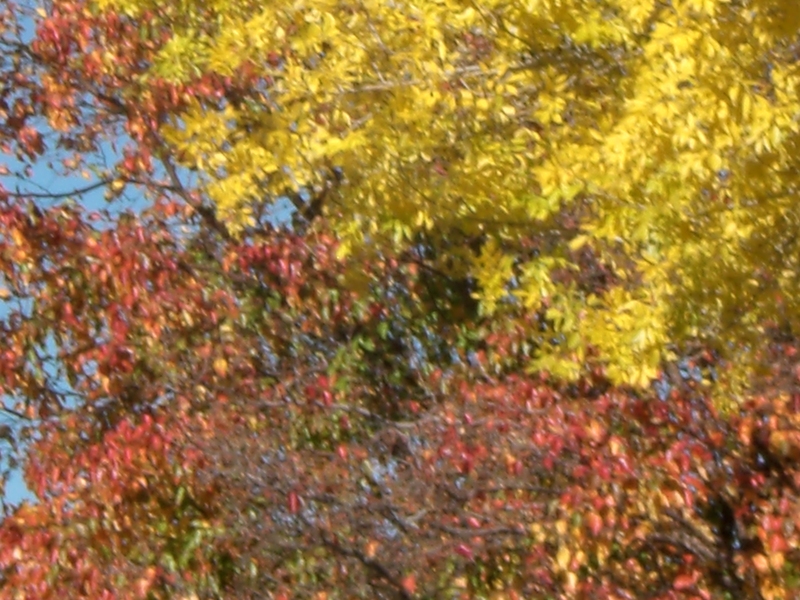 I perceive that, because there were so many different types of trees producing multi-hued woodlands, autumn in the East, with its continuous experience of changing colors, did not become “too much” in the way that miles of yellow upon yellow have exhausted my ability to be inspired. I ask myself how much variety is enough to keep me from becoming sated? Is it actually variety that is important, or uniqueness? 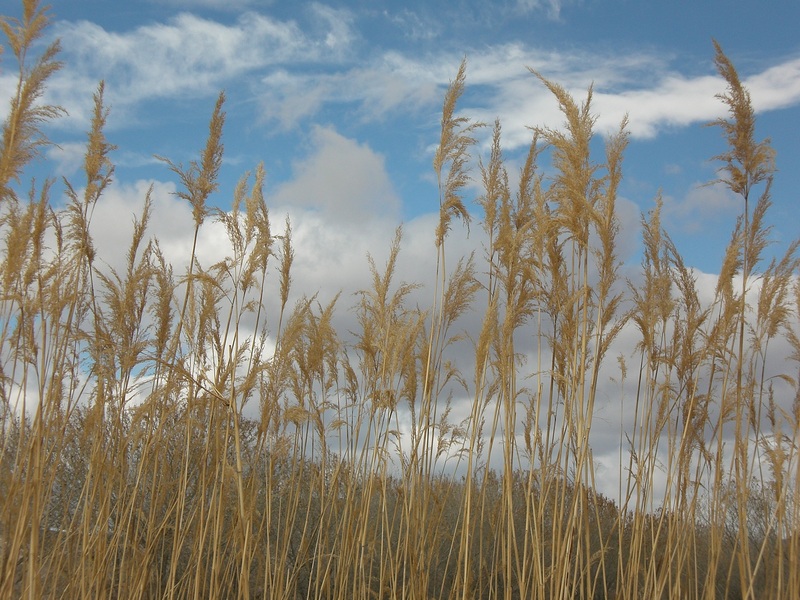 A clump of cottonwoods in a landscape of tan grasses is unique. A brilliant red maple stands out against an orange-toned oak whereas, in an acre of similarly colored trees, each cottonwood loses its distinction. Do we not all strive to find our own unique color, to stand out from those around us? Some of us are more strident, others quite subtle, but all of us seem internally driven to find a way to express individuality. Undoubtedly one of you readers will have objected that the acres of yellow in the bosque, the totality of which I found to be ‘too much’, would have delighted you with its abundance. The open, empty plains that I find soothing were frightening to my mother. On her one visit to New Mexico she felt unpleasantly vulnerable, as though naked and exposed. I, by contrast, feel invaded, almost assaulted, by the intensity of human activity in urban areas. 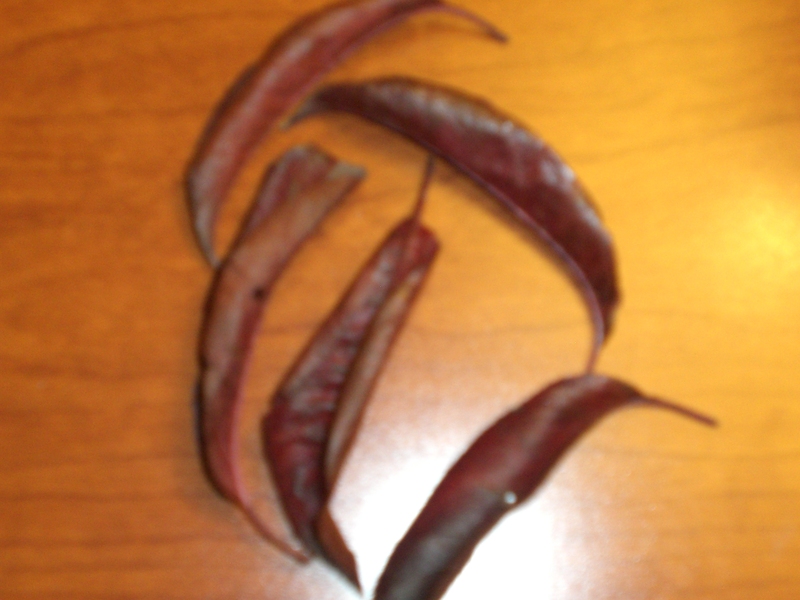 Going out for a walk after orientation class has ended, I find a patch of grass littered with slim, deep red leaves. I don’t know what sort of tree they have dropped from – I’m not an educated botanist. I do know that I’ll keep the handful I collected on my desk in the training room, until they turn brown and brittle. And to have them longer, I’ll photograph them to upload to my screen saver, along with pictures of cottonwood and of maple branches lit by late afternoon sun. I may feel sated in the bosque; I will delight in retaining reminders of this colorful day, replete with images that speak to my soul while teaching lessons about the value of individual differences.